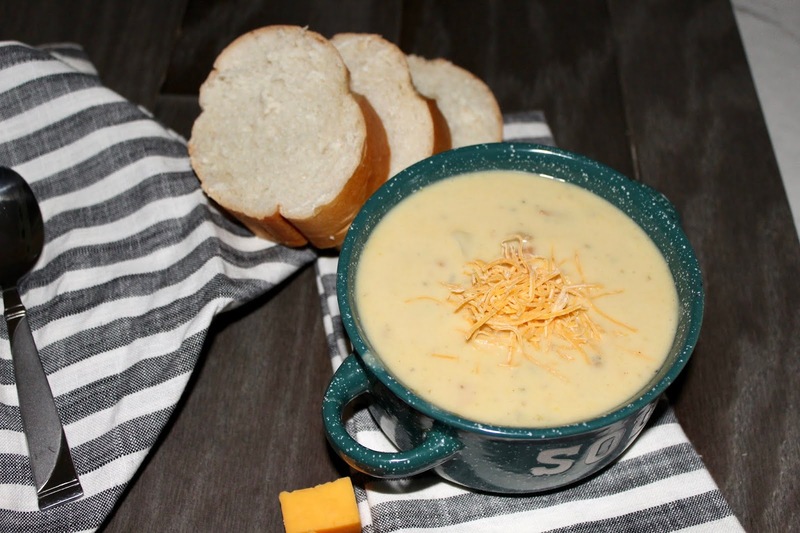 What in the world with chilly January be without a yummy soup recipe! I just love sausage and it’s perfectly fine with me if it’s a healthier turkey sausage. 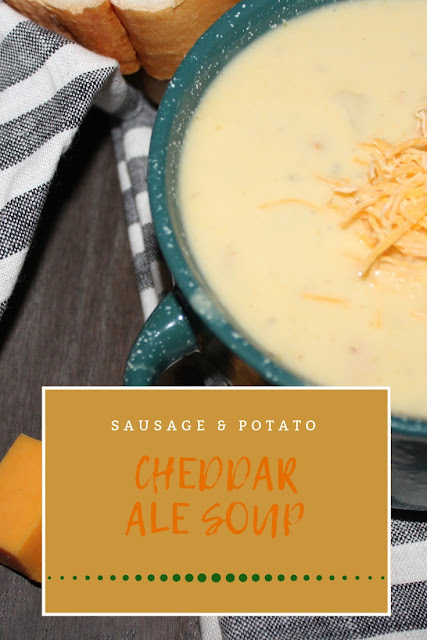 You will absolutely love this recipe with its cheddar goodness and the great flavor that a can of beer gives to this recipe. It’s tasty, it’s hearty and it’s warm; what more could you ask for on a January day? Sausage and Potato Cheddar Ale Soup. In a large stock pot over medium heat, add the turkey sausage and brown crumbling as it cooks through. Drain grease from the sausage and set aside. In the same large pot, heat butter over medium high heat add the onion carrots celery and a large pinch of salt and pepper and cook stream frequently for about 10 to 12 minutes. Turn the heat to medium and add the garlic and oregano and cook for another minute. Next, add the flour and stir to coat all the veggies. Cook for about two more minutes during often. Poor in the chicken broth beer and diced potatoes along with a little more salt and pepper. Cover the pot, turn heat up to medium high and bring it to a simmer. Once the soup begins to simmer, turn the heat to low and cook for another 10 to 12 minutes until the potatoes are fork tender. Remove the pot from the heat and stir in the heavy cream and shredded cheese. Stir until the cheese is just melted, serve and garnish with chopped parsley or some more shredded cheese. The Perfect One Pot Soup! This looks like the perfect winter meal- I think my hubby would love it- thanks for sharing! We love potato soup. Then add sausage. Super yum!! What a fabulous combination of flavors, perfect for this January weather! Mmmmmm looks like the perfect soup to enjoy on a cold day when I all I want to do is be cozy in front of the fireplace. Delish! I need some yummy warm soup in my life! Yesterday I had chicken enchilada soup with Wayne on our lunch date and it was just oh so salty! I'm sure your recipe is delicious! 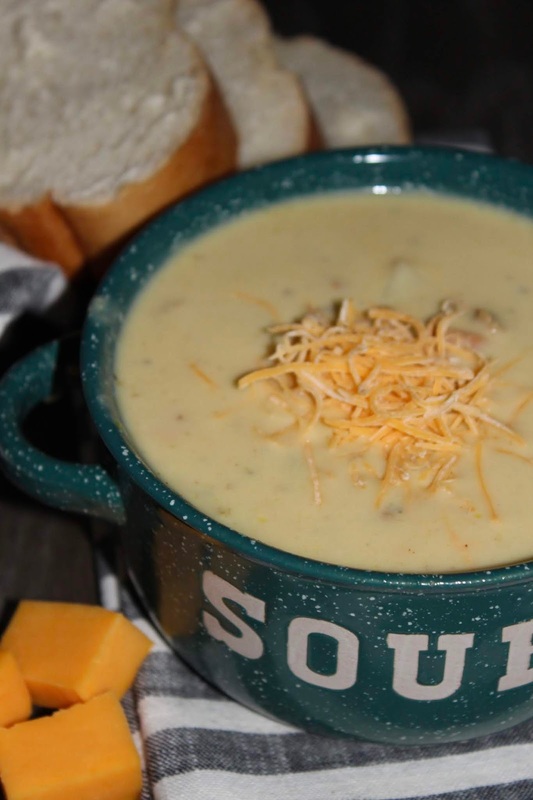 We love soup this time of year, and our crockpot definitely gets a workout. This recipe sounds perfect! Yet another delicious looking recipe! We've had a few chilly, rainy days this week and I was really craving something just like this. Your timing is perfect! This soup speaks to my soul. I love a good beer cheese soup! This sound so good!! Cheese, potatoes, sausage, beer... all ingredients that are husband approved! This sounds yum yum yum!!! Perfect for a cold winter day!! It's definitely soup season and I need to put this on the list- it looks SO good! This sounds delicious! I haven't made a lot of soups yet this winter, but definitely want to give this one a try! This sounds so good! And it's perfect meal for a cold winter night! Definitely going to make it! Looks delish! Can't wait to give this a try. I think we eat soup at least once a week in winter. It just warms you right up on a cold day. This sounds delicious! I will have to try it out and add it to our rotation! Yum, yum, yum! This sounds like some great comfort food! Oh yes ma'am! This sounds amazing! Sausage has become my most favorite meat to cook with! I'm pinning this one to try soon! And I'm drooling! 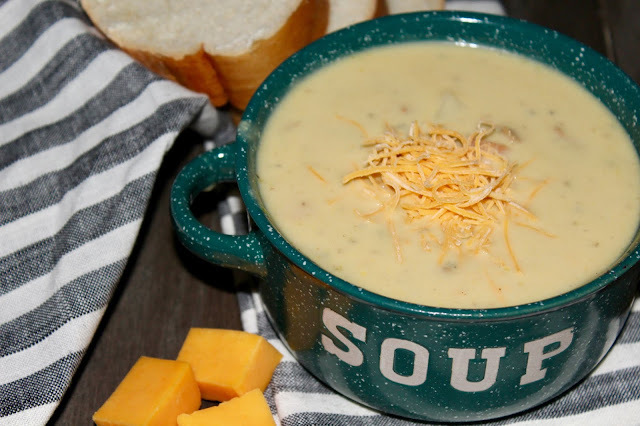 It's pretty cold in Texas right now, so this would be an absolutely perfect soup to make for dinner tonight! This looks delicious and perfect for a chilly day. I'm not a fan of ground turkey, but the added flavor of turkey sausage makes it a little tastier. Have a terrific Tuesday! Yummy! I will have to make this! Sounds so comforting! This looks delicious esp for the folk in col winter temps right now. I love a good comforting soup! Truly, I am not sure I have ever heard of anything more delicious!! Oh I love a great soup recipe ! We are getting more snow this weekend so I might just need to make this soup ! Oh. Em. Gee! This looks soooo good!!! 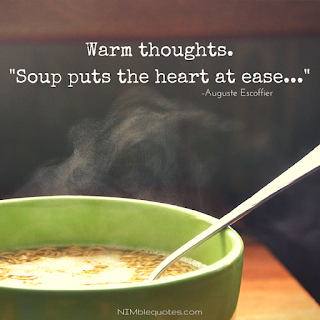 I'm such a fan of soup but it's even better in the winter!! This soup sounds so perfect for snowy winter weather. Perfect for the winter storm headed our way this weekend. Hope you had a wonderful Tuesday. You are the best cook. I always know if you made it and feature it on your blog, whatever it is, it has to be delicious! Pinning as we are on my PC's 'soup diet' to rid us of holiday weight. Would love for you to stop by my Tasty Tuesday post from yesterday...I made soup, too!! Great minds! Oh good lowrd! My husband would love this! I'll for sure have to try it! 😍😍 Oh my goodness this sounds amazing! This looks like it could get us all through this insufferable winter! The soup looks delicious! Thanks for sharing at Merry Monday! I think my daughter and hubby would LOVE this soup!! 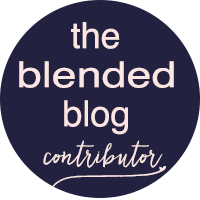 Thanks so much linking up! This is a perfect bowl of chowder for this extremely cold day! Hope you are having a great week and thanks so much for sharing with us at Full Plate Thursday!